Chiropractic is a health care discipline and profession that emphasizes diagnosis, treatment and prevention of mechanical disorders of the musculoskeletal system, especially the spine. It is generally considered a complementary and alternative approach to health care. Chiropractic has many of the attributes of a well established health care specialty including university requirements, specific education and regulated licensure or registration. The main chiropractic treatment technique involves manual therapy, including massage and manipulation of the spine, or other joints, and surrounding soft tissues. Treatment also includes selected electrotherapeutic modalities and the prescription of specific stretches and exercises, and general fitness advice. 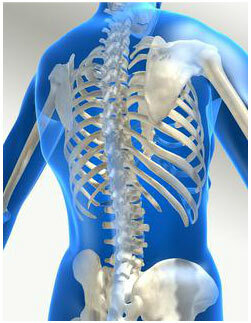 Chiropractic care works well within the current health care system. We provide a specific service to assist those who need help with a wide variety of health conditions related to the spine and musculoskeletal system. Treatment is natural, it works well with medications and does not interfere with other conditions or normal daily activities. There is a large array of clinical evidence which suggests that manual therapy and chiropractic can provide for safe and effective help for many painful and limiting conditions which are not uncommon. It has been shown to be effective for some forms of arthritis. Injuries of the joints or muscles including the spinal discs can be assisted by chiropractic treatment and our approach including exercise prescription is well placed within the current trends in rehabilitation.